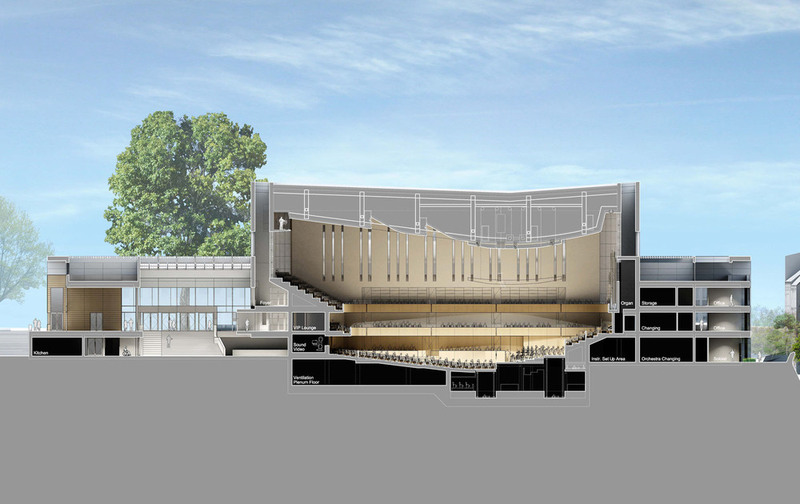 A two stage invited competition to design a new Festival Hall facility in the center of Bonn. 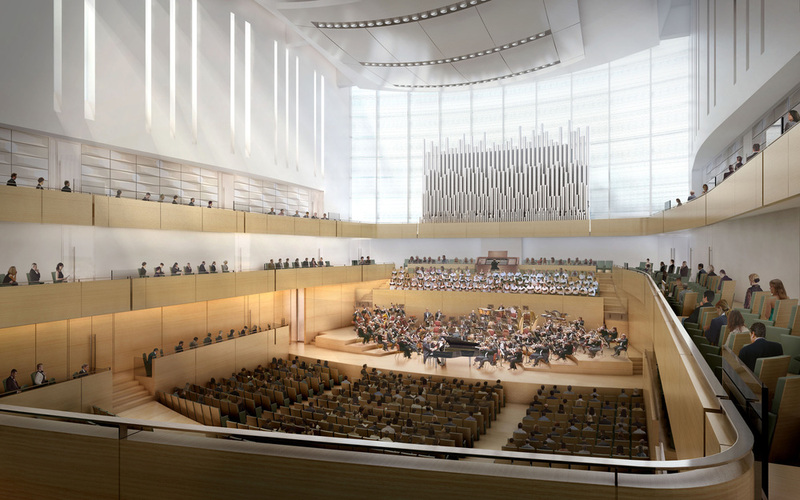 The program called for a 1500 seat Concert Hall and a 500 seat Recital/ Rehearsal Hall to house the Beethoven Symphony Orchestra, as well as visiting performers and public events. 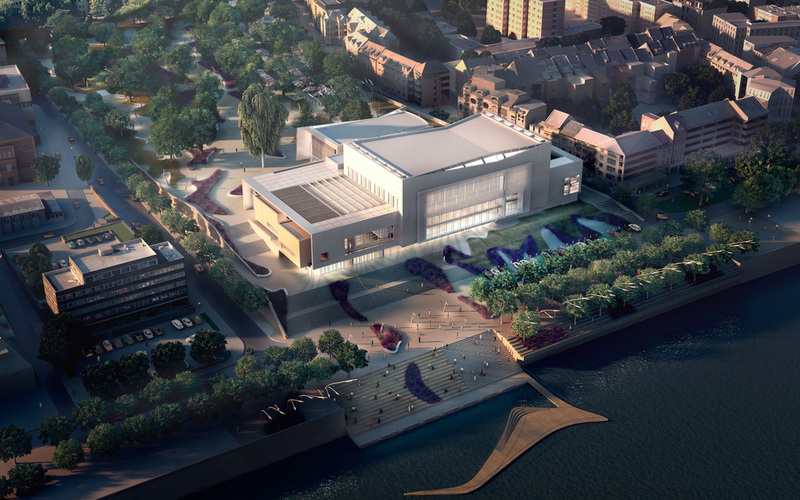 The historic riverfront location calls for an engaging public landmark, which takes the form of the expressive Concert Hall volume. The expansive park connecting the site with the city provides the ideal setting for the smaller Recital Hall. The park itself is transformed into an urban oasis, with a free form plan inspired by German Romantic Landscape and Beethoven’s Lock of Hair. As the scale of the Concert Hall is more appropriate to space of the river, so too is the scale of the Recital Hall more appropriate to the park. The Foyer connects the two at their public entrances, making the transition from park to river. The image of the new Beethoven Festival Hall is one of a well proportioned and expressive ensemble of its functional components. 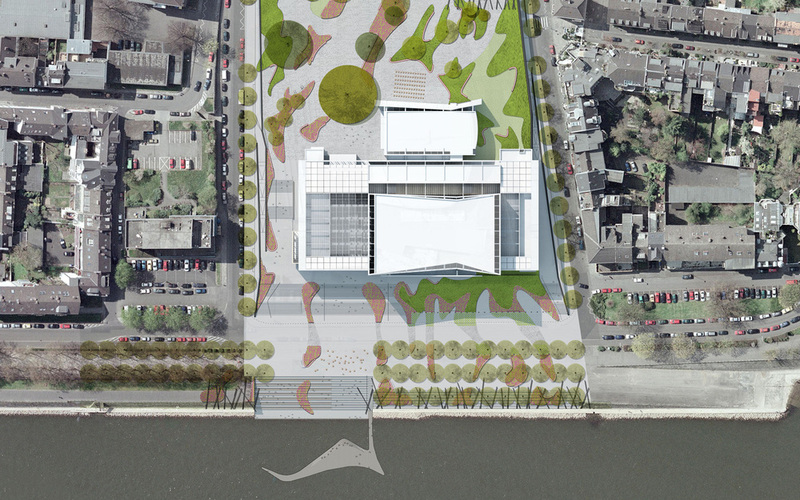 The lightness and transparency at the building’s heart opens the Park to the riverfront below, reinforcing the connection between the city and the Rhine.